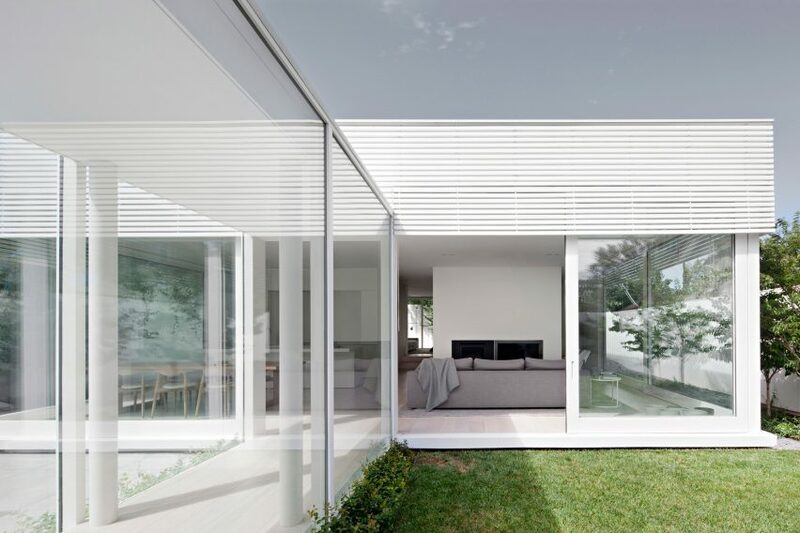 Melbourne-based architecture collective Studio Four placed a garden at the centre of this all-white family home located in the city’s suburb of Glen Iris. 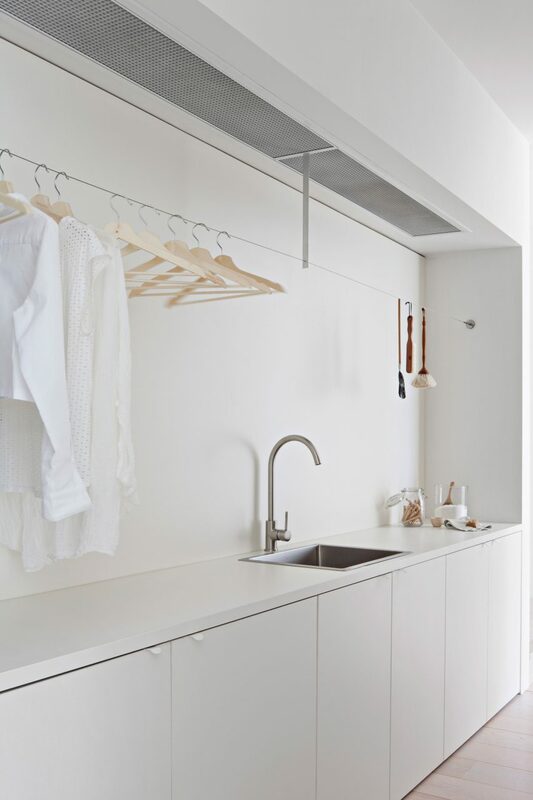 The clients – a professional couple with two young children – asked the architects to create a home that could meet the needs of their busy lives while also functioning as a calming sanctuary. 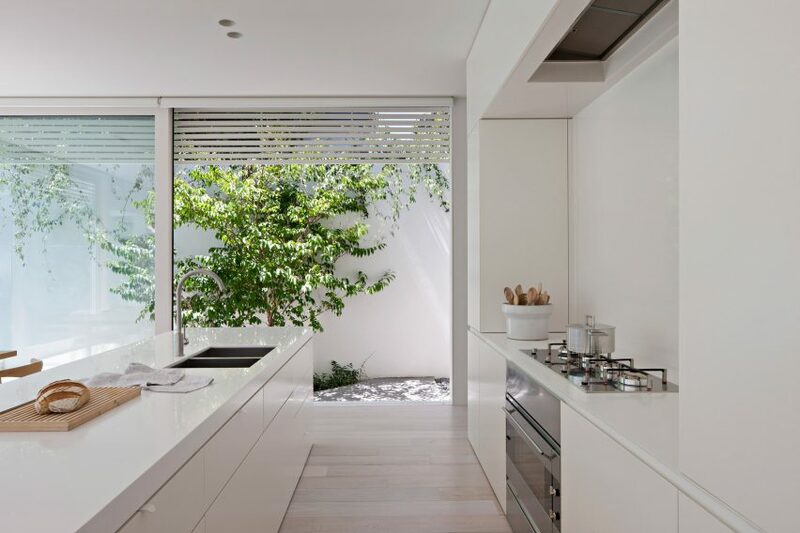 Made up of plain white walls, the house’s architecture was kept deliberately understated in order to let the house’s gardens, take centre stage. “Our brief was to place as much significance on the landscape and outdoor spaces as to any of the internal living spaces,” explained the architects. With the garden at its centre, the house’s form is split down the centre allowing northern light to enter without compromising on visual or acoustic privacy from the street. 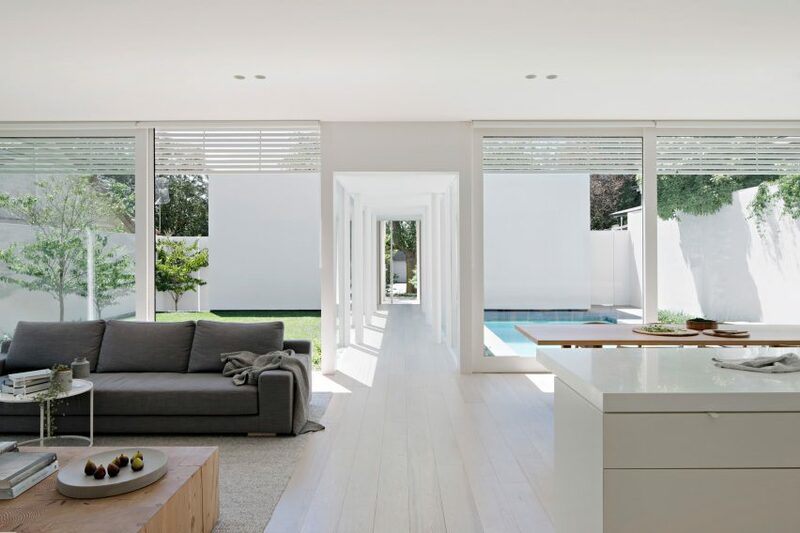 The architects’ approach enabled the home to turn its back on the adjoining properties, which are all in close proximity, and instead create its own views and aspect within the property. The property’s blank front façade, which the architects liken to a canvas, captures the shadows and reflections of a large oak tree outside on the street. A full height front door punctuates the facade leading through to the private sleeping areas, the central internal garden, and culminating in the main living, cooking and dining area. “The garden must be passed through and experienced to reach the main areas of the house,” explained the architects. 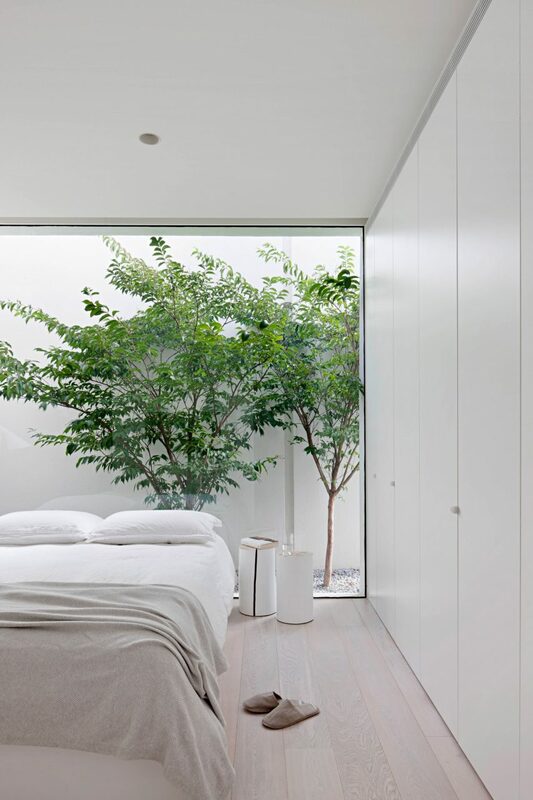 The house’s private spaces for sleeping, bathing, studying and reading are purposefully concealed from interior sight lines, in contrast the house’s public areas are completely open and connected to the internal garden. “Further connections are made between the internal garden and the space around the house, providing a layering of landscape and surrounding built form,” continued the architects. A private, acoustically separated, master wing and a secluded second living area provide a place for the parents to relax and enable the remainder of the house to remain relatively open. In addition, a series of sliding doors also allow further acoustic separation when required. “By using pared back forms and detailing and a restrained palette of materials, the emphasis becomes not on the insular and what has been ‘designed in’, but on the totality of the site and the value of its outdoor connection,” concluded the architects. 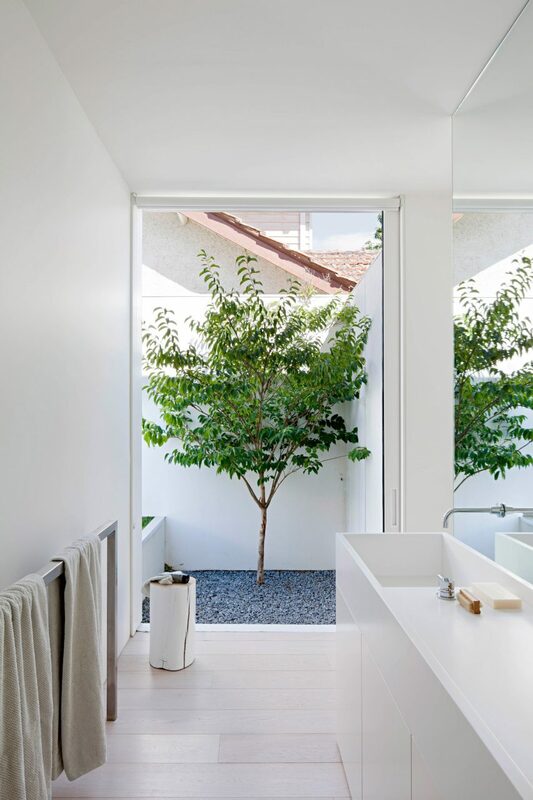 In Brasília, architecture studio Bloco Arquitetos created an all-white residence that provides the residents with privacy while also providing access to the public green space in front of the house.